CASSETTE BODY SHIMANO 11S, B2 COMPATIBILITY TYPE, 4 PAWLS, ANTI BITE GUARD FEATURE (A.B.G. ), ALLOY MATERIAL, FOR 15 MM AXLE. CASSETTE BODY SRAM XD 11, B2 COMPATIBILITY TYPE, 4 PAWLS, ALLOY MATERIAL, FOR 15 MM AXLE, WITH SEAL AND NEW SPACER . THIS NEW SPACER IS COMPATIBLE ONLY WITH 4 PAWLS CASSETTE BODIES. CASSETTE BODY SHIMANO 8/9/10S, B2 COMPATIBILITY TYPE, 3 PAWLS, STEEL MATERIAL, FOR 15 MM AXLE. AXLE - QR, ALLOY, 15/10 x 145 MM, WITH SIDE CAP, FOR D792SB, D772SB, XD612SB, MULTI-AXLE SYSTEM. AXLE - 10, ALLOY, 15/10 x 135 MM, WITH SIDE CAP, FOR D792SB, D772SB, XD612SB, MULTI-AXLE SYSTEM. AXLE - 12, ALLOY, 15/12 x 135 MM, WITH SIDE CAP, FOR D792SB, D772SB, XD612SB, MULTI-AXLE SYSTEM. 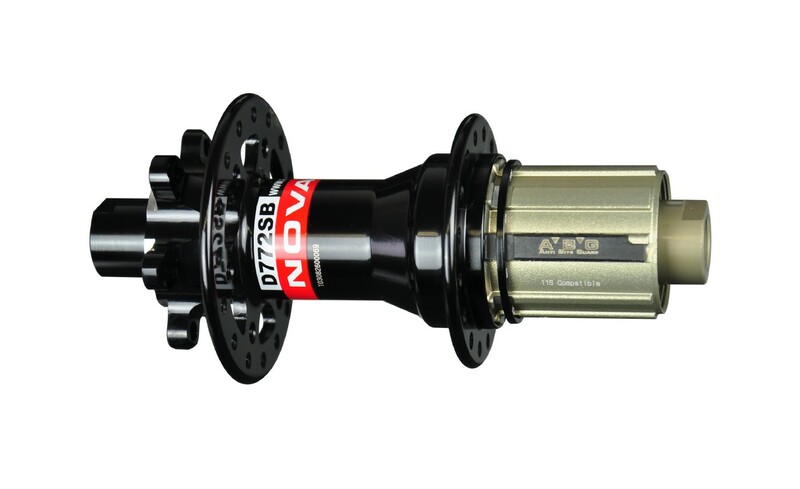 AXLE - X12, ALLOY, 15/12 x 142 MM, WITH SIDE CAP, FOR D792SB, D772SB, XD612SB, MULTI-AXLE SYSTEM. RATCHET RINGS, 27 TEETH, PRESS-IN AND THREADED TYPE, MATERIAL: STEEL, FOR ROAD AND MTB HUBS. THREADED TYPE WAS DISCONTINUED THREFORE RECENT HUBS ARE USING ONLY PRESS-IN TYPE OF RATCHET RING. SPECIAL TOOL IS NEEDED TO REMOVE / INSTALL RATCHET RINGS. OIL SEAL FOR B2/D2 TYPE OF CASSETTE BODY COMPATIBILITY, SIZE: 29,8 MM / 17,3 MM, THICKNESS: 3 MM, WEIGHT: 1,9 G.
3 PAWLS + SPRING FOR CASSETTE BODIES WITH 3 PAWLS (SHIMANO, CAMPAGNOLO AND SRAM XD), MATERIAL: STEEL. 4 PAWLS + SPRING FOR CASSETTE BODIES WITH 4 PAWLS (SHIMANO AND SRAM XD), MATERIAL: STEEL. WATER SEAL FOR ALL TYPES OF CASSETTE BODIES, SIZE: 26.2 MM / 31.25 MM, THICKNESS: 3 MM. PLACED BETWEEN HUB SHELL AND CASSETTE BODY.